​Sign up to receive our newsletter emails that include updates about our products and services, event information, educational media, and special offers. Now that you've discovered SAI, are you wondering how we can assist you? We've compiled a resource center for YOU, precious Starseeds, and Star Children that are now residing on the star planet Terra. We also welcome all the beautiful Lightworkers that are working so diligently to bring that shining light to Mother Gaia and her inhabitants. It is our wish that all Starseeds and Lightworkers fulfill their missions. You all need inspiration, a remembrance of home, and some "galactivations" along the way. 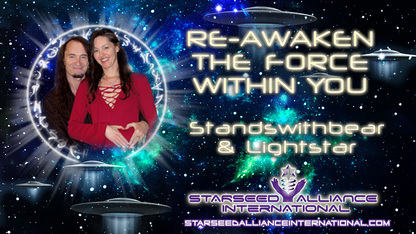 Our goal is to create an alliance among Starseeds throughout the world to become united and inspired to remember who you are and shine your light. WonderTwin Powers, Activate! Standswithbear and Lightstar unite to bring a very unique and power-packed intuitive and healing session which is truly out of this world. Both Lightstar and Standswithbear also offer their own individual sessions for Starseeds, so you can view the sessions they offer on their individual websites. ​Sign up for Lightstar's Email Newsletter List, and You'll Get "The Activation Pack" which includes Lightstar's Guided Meditation: "The Galactic Shield and Reconnection" Visualization AND 7 High Resolution 1920x1080 Digital Wallpaper Images! ​The original event was broadcast live on Google Hangouts/YouTube The LIVE event was hosted by Rose Ferrachi. 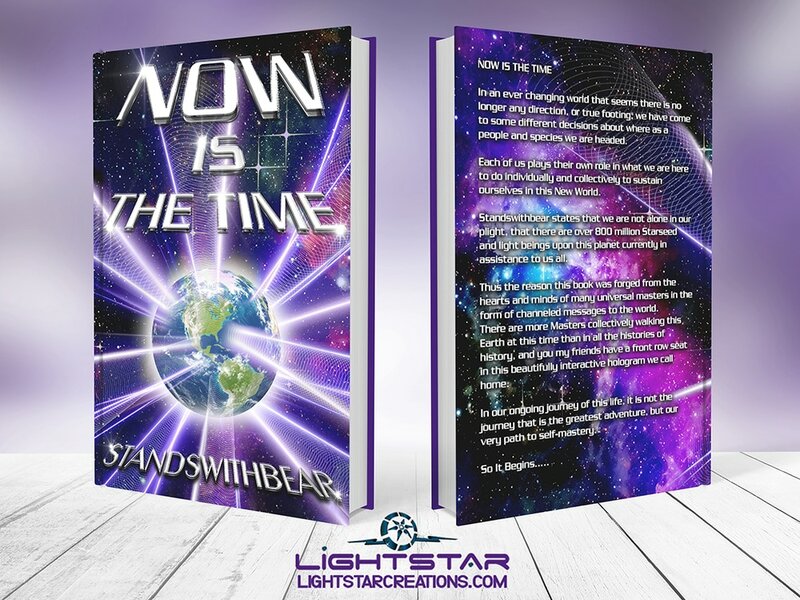 Be one of the first to get a copy of Standswithbear's prolific and engaging new book, "NOW IS THE TIME." Allow the journey through the pages of the book to take you from the past into future's yet unknown, and dreams and the possiblity of dreams. Featuring his beloved Lightstar's book cover design, as well as her captivating and enchanting full color art images. About this Book: "To remain in the past and old paradigms serves no purpose. To evolve and grow is the naturality of all species and NOW IS THE TIME to begin. From time immortal mankind has searched the heavens for the answers to their existence and why they are here. It is a fact well known that there have been many Masters and teachers, from child to adult that have shown us the path to self realization as well as contributed many inventions and philosophies that have assisted to shift our entire consciousness to herald in a new world."